Went to the Big Co-op today, and saw some Silent night Duvets on offer, they had King Size for £10, Double £8 and Singles for £6. Excellent duvets at bargain price and there was quite a few left at the Sherwood Nottingham Store. Went to the Big Co-op today, and saw some Silent night Duvets on offer, … Went to the Big Co-op today, and saw some Silent night Duvets on offer, they had King Size for £10, Double £8 and Singles for £6. 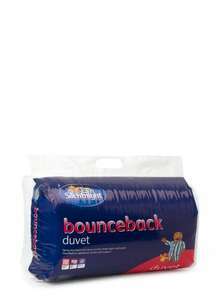 Excellent duvets at bargain price and there was quite a few left at the Sherwood Nottingham Store. Is that the new(ish) one at the top of Sherwood, or the one further down by the Winchester St lights?